We recently met up with Paul Bennett, a member of the GB Rowing Team and current World Champion, and Laurie Miles, Head of Analytics for SAS UK & Ireland, who has been analyzing the team's data. They chatted about data, the life and mind of an elite sportsman, and uncovered some surprising things they have in common! Follow the discussion below. You both have something in common – would you like to tell me what it is? Paul Bennett: I wouldn’t quite say we are both data scientists, but Laurie is certainly a data scientist and I’m very interested in data science. Bennett: I have a previous educational background in maths and computer science, and this leads quite fluidly into a fascination with numbers and an interest in knowing what they can do professionally, commercially and privately in a sporting context. I’m an Olympian – well hopefully soon to be an Olympian – I currently row for the British national squad. This partnership between SAS and GB Rowing is a great opportunity to try and find ways of how numbers can help the dream of making more gold medals more possible. Laurie, you are a data scientist? Tell us all about it. Laurie Miles: I am. Right from an early age, I was always interested in maths and numbers. I have always been passionate about using maths to solve problems; be it from a business perspective or – as we are doing with the GB Rowing Team – from a sporting perspective. Numbers have a beauty because they are consistent, and unlike people they are very predictable. It’s this predictability that allows us to solve business problems. For example, we can use transaction behaviour to spot fraud patterns for HSBC, and we can use customer behaviour to help Waitrose decide what stock to put on which shelves in which stores. So exactly the same techniques are used for two totally different things. And it’s the same techniques that we are using to look for patterns within rowing data that help us establish what makes a good rower good, what makes the boat go faster, how we can optimise that performance and so on. Paul what are you hoping this approach will do for the GB Rowing Team? Bennett: I think what Laurie is saying about patterns and numbers is very pertinent for rowing as well. We use a lot of data to make decisions about who to put in boats, how best to organise our training, how best to move forward with basically everything. At the moment a a lot of good work is done under the interesting circumstances of being beside a lake, up a mountain or under pressure every day. There’s someone who looks at these numbers and says ‘these are good numbers, these are bad numbers’. I think there’s now an opportunity, in partnership with SAS, to use numbers in a more rigorous and regular manner"
There is an opportunity to look at long-term patterns in ergo performance, in the speed of boats, in speeds after particular changes in crew order. So Laurie you’ve been working with the team’s data – what does it look like? What sort of things are we measuring? What sort of magic will we affect to help make the boat go faster? Miles: It’s really variable data. So on one hand we have data about a rower’s diet, even their sleep patterns, but also performance data coming off the boat, training data, the weather, and so on. There are many types of data we have to put together before we can even start to make sense of it, and try and look for those patterns. While much of the data is machine generated and very consistent, a lot of this data is typed in by the coach on the side of the river, and this leads to data quality issues; it leads to variability in how they type it in and these are the sort of challenges we’ve had to overcome. Paul you actually have to live through this data – do you think about data as you are rowing, how does that work? Bennett: Absolutely. Everyone wants to think that what they are doing is more than the actual numbers. However, in this case we are talking about a sport where the end goal is absolutely clear – you need to make the smallest number. Ultimately, in some ways my rowing performance is those numbers. Anything else I can say about my personal experience of it, what it’s like to row, the pain and the ecstasy of it, kind of falls into insignificance when we are talking about trying to do a very specific goal. So what is the secret ingredient that could prove to be the difference between gold and silver? 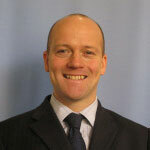 Bennett: There are two ways of looking at it – there’s one where we try to maximise certain things as much as possible. So, for example your speed over 20,000 meters for an everyday rowing session. We are doing that all the time, looking for these small performance increases and finding better ways of doing that one thing. Something else to look out for are catastrophic failures that we accidentally make all the time but are very difficult to see. For example, being able to spot injuries before they happen is exciting. Very small changes by themselves can point to a catastrophic failure that we are about to hit. We need to be able to be aware that this is happening earlier rather than later. Businesses want that insight as well. Miles: Yes, as I said earlier it’s exactly the same techniques applied to data to do the same thing. It’s about maximising something – be it performance or profit – or minimising something – be it time or losses. It’s actually the same approach to solve very different problems. As you now build up to Rio, and you’re going forward for the selection committee, what are you hoping the numbers will give you when you do your trials? Bennett: It’s very easy to get caught in the mindset of small steps, and easy to lose focus of the bigger picture of what you are trying to achieve. So anything that can give you that clarity and can give you an external dispassionate eye, and say this is the way we can improve is something I’d really like. Something that came out of a recent sports conference here is that as a rower you have a real physical challenge – you develop a bigger heart, bigger lungs. That’s why watching the data on your own personal physiology is very important. How to do you feel about pushing your body to that limit? Bennett: You do get to the point where you see your body as just a tool. You have to maximise its performance as much as possible. You stop seeing food as something that is enjoyable; you see it as something that has to happen so you can do the next session. You stop seeing sleep as an opportunity to switch off; you see it as a period of time where you need to stop so you can recover. It’s an unfortunate side effect of trying to push your body as far as it can go. But I’m actually quite happy that I have an opportunity to maximise that gift that has been given to me. I’m exceptionally tall; I wouldn’t be rowing if I hadn’t been given that gift and to see what I’m capable of is very exciting. If you had to ask one thing of the data we are analysing what would it be? Bennett: Be even more directly useful. Personally I would like to use the data in a more precise and rigorous way. I’m not looking for any golden bullet or specific outcome. We sometimes take this data but it’s not always been possible to use it in the most focused manner to guide future choices. We look at it, we play around with it but now we should be able to take things further and say ‘this is what we are going to base our decisions on now’. Businesses like that approach too. Miles: That is what it’s all about – making decisions. If you don’t actually come out with an outcome from the analysis to make a decision, then what’s the point? It’s maths for maths’ sake! It’s not very useful for business or sportspeople. It’s all about decisions. 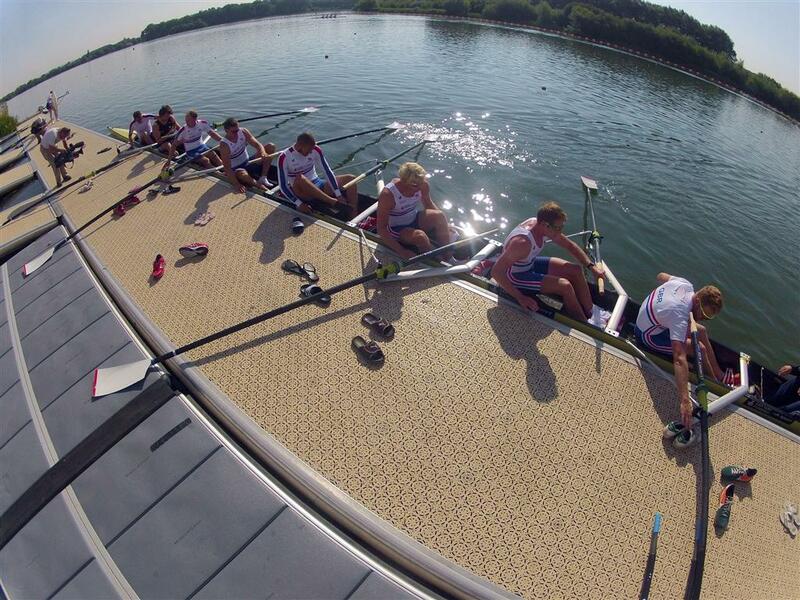 SAS is the official analytics partner of British Rowing and the GB Rowing Team. The parties have been working together since May 2014 to improve team performance through advanced analytics and answer the age-old question of ‘how to make the boat go faster’. See how data analytics is boosting rowers’ confidence in the video below.